Now that the salty, savory extravaganza of Super Bowl Sunday is out of the way, Valentine’s Day looms large on the horizon as our next big food affair. Though terminally single, I’ve come to enjoy the event as an opportunity to show friends and family that I care, inevitably in the form of something edible. Though my best suggestions do skew heavy on the chocolate, there are still many lovely, lighter options to cleanse your palate. While you still have time to plan, take a peek at some of my favorites that have hit the blog in years past. Whoever said that you can’t win friends with salad never sat down to a plateful of lovingly carved heart-shaped strawberries atop tender artichoke hearts, crisp endive, and buttery spears of hearts of palm. Yes indeed, my Heart-Felt Endive Salad is all that and more, living up to the name in more than one way. 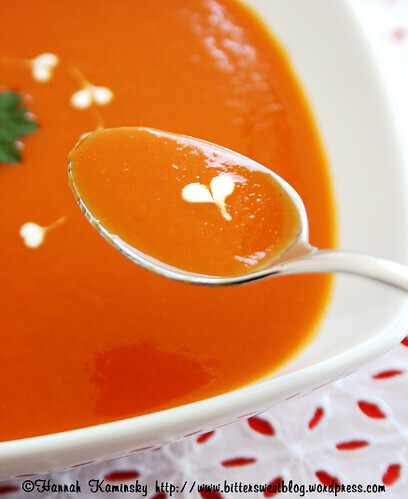 This Roasted Red Pepper Soup is quite the blast from the past, so pardon the terrible photo! Though the recipe itself is nothing earth-shattering, the technique of swirling tiny sour cream hearts can be applied to any smooth, pureed soup you care to serve. A little extra effort goes a long way, so you can effortlessly score some extra brownie points by taking a minute to go all out on the garnishes. 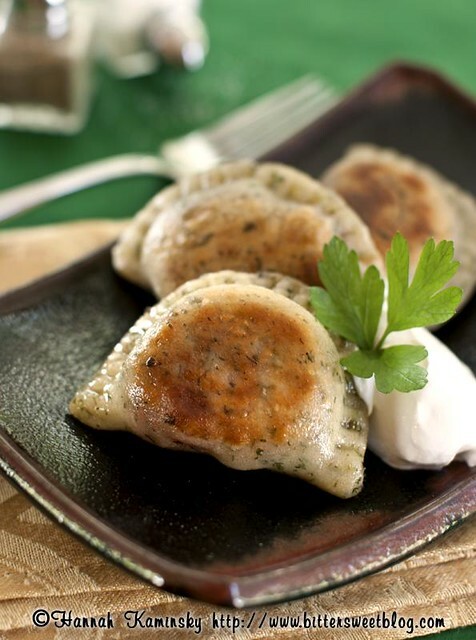 Moving on to the main event, Blushing Beet Pierogi are a more subtle way of showing that you care. In hindsight, I wish I had cut these little potato and pasta pouches into the shape of hearts to reinforce the theme, but you can learn from my mistake! Do it up right and really wow your loved ones! Starting with something light for dessert, fluffy and refreshing Frozen Strawberry-Balsamic Souffles are ideal for those with a penchant for fruity treats. Each ramekin presents a bright, bold contrast between sweet and sour, hitting all the high notes with nary a boring spoonful from start to finish. When words fail, say it with cake. 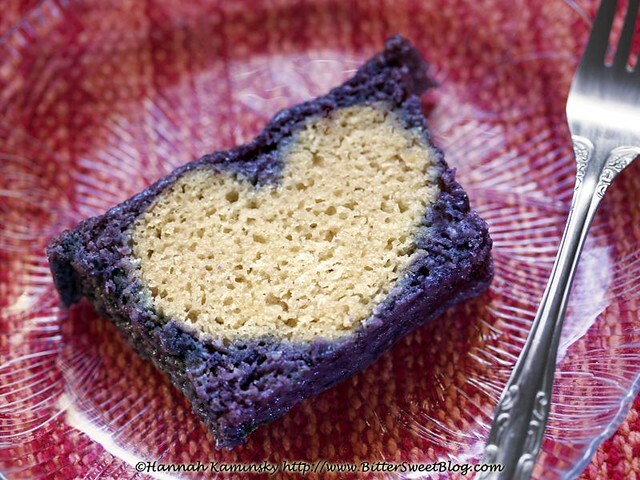 Show your heart with a stunning slice of Hidden Heart Wild Blueberry Cake. For a truly impressive unveiling, bring the whole cake to the table and cut it right in front of your beloved. Sure, it’s a bit more intricate than your average pound cake, but the extra effort will be worthwhile for the lasting impression those sweet shapes will leave. Flourless Chocolate Cake is a classic, and though predictable, it never gets old. Dark, rich, and decadent, this version is for chocoholics only. The real danger is that it’s so easy to whip up, you may not be able to contain your love to just one special occasion for indulgence. Try it once, and it could easily become an everyday affair. Keep your cool with another frozen treat: Pomegranate Ice Cream Pops. This quick fix novelty is simply blended and thrown into silicone molds, no churning necessary. 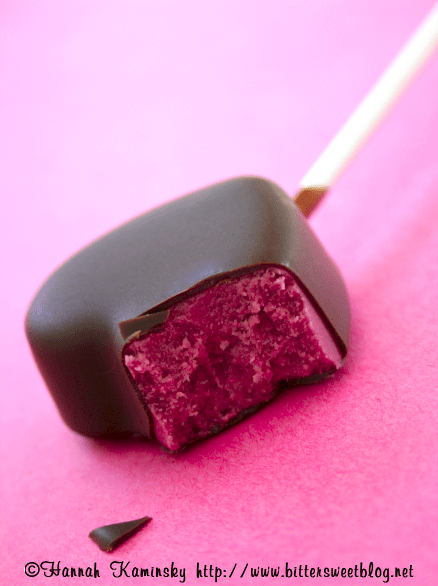 Leave out the lollipop stick to make frosty chocolate-covered truffles, or throw that creamy pomegranate base into any popsicle mold you might have on hand. As long as you don’t omit that crisp chocolate shell, you can’t go too far wrong. Of course, if all else fails, just bake a pan of brownies and call it a day. No one would be mad at that. I really should make more of an effort for Valentines’ day this year. Thanks for your inspiration! Hmmm, I may have to do one or more of these for Valentine’s Day this year. Thanks for all the delicious choices, Hannah. All these bright colors have me drooling, but especially that first salad- MUST MAKE! I found you through the girls at Hungry Squared podcast and I’m so glad you were on their show! I am vegan, but my husband is not. I have always shown love through cooking and baking for others, but it can be difficult to find things I’m confident my hubs will love too… I’m totally going to try out a few of these ideas for Valentine’s Day and I am excited to check out your new cookbook and the fast whole food options I’ve been hearing about! Thank you! Welcome! I’m so happy you caught the show and came to check out my blog. It really means a to me, and I’d love to hear what you think about those recipes, too. Enjoy! 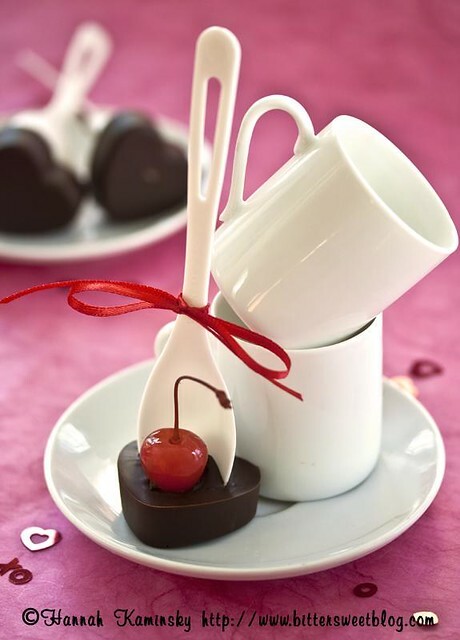 So many great recipes here for a gorgeous Valentine’s Day, especially the salad and cake. Wow and thanks!